Back in the day, if kids didn’t want to borrow Mom’s car to get to the prom, they might have pulled out all the stops and hired a limo for the trip. These days, that kind of thing is passé. Witness the horse drawn buggy that this group of kids rode in on. There’s no denying that this is a classy looking wagon. But I have to say, I like Trevor and Cory’s choice of entrance even better. 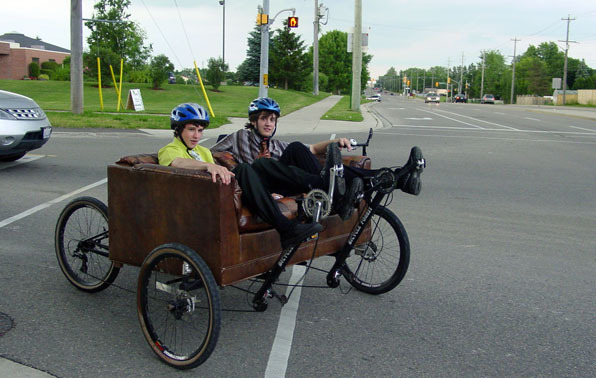 After picking out a couple of outfits from Value Village, these boys hopped on the stylish faux leather cushions of the world famous Couchbike and pedalled to the prom. Here’s the duo in action! Although Boaz has come and gone, we’ve continued to enjoy various car free outings as a result of Boaz’s Un-Road Trip. 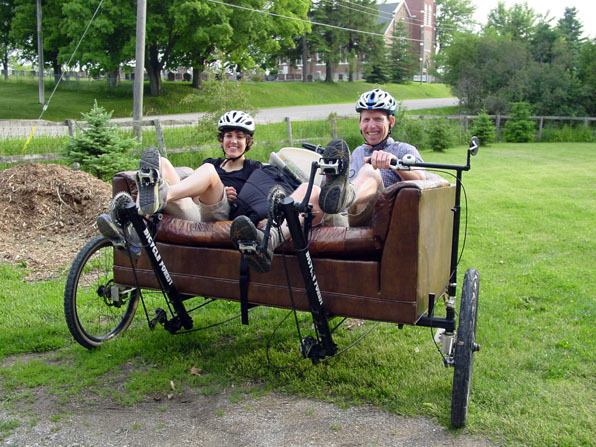 Last night, Natalie and I moved the Couchbike back to Kitchener from Stratford. Thunderstorms were in the forecast, but the weather turned out to be perfect for a late day Couchbike cruise. 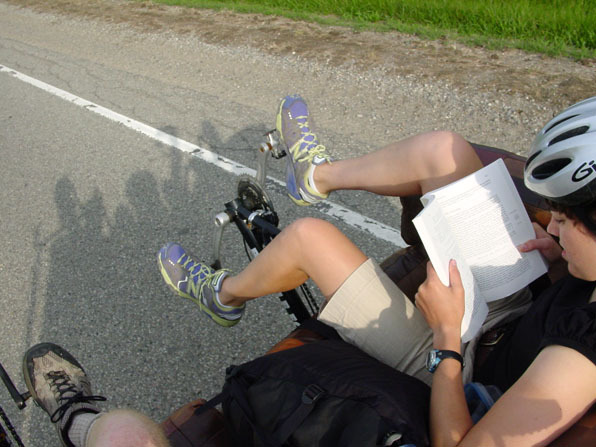 Natalie was still busy preparing for her PhD comprehensive exams next week, but fortunately that’s one of the perks of Couchbike travel. One needs not necessarily pay attention to the road when an expert driver is at the tiller. Since we were making pretty good time, we stopped in for a visit at the Humphrey’s at about the half way point. We got in to Kitchener just before dark. 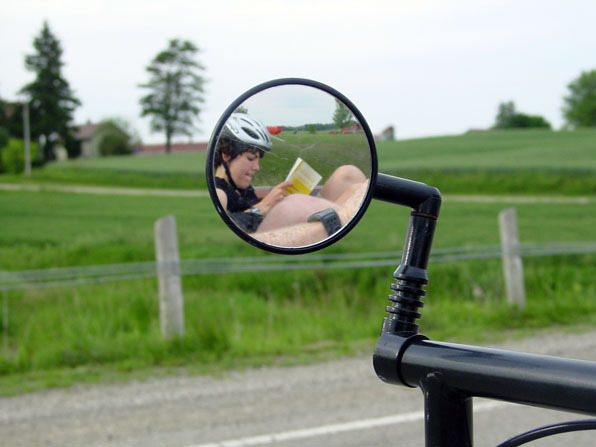 You are currently browsing the Bicycle Forest Blog weblog archives for June, 2009.